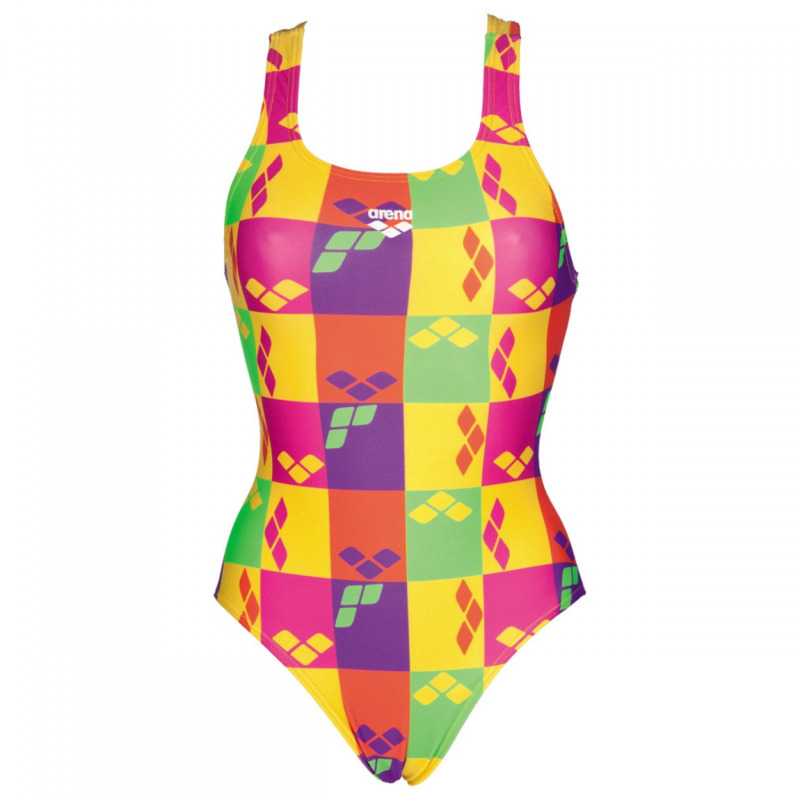 The Arena Factory swimsuit has a vibrant all over design featuring blocks in purple, yellow, pink, green and orange and each detailed with a contrasting Arena logo. It has a ‘Pro’ style back which is athletic and provides great freedom of movement. 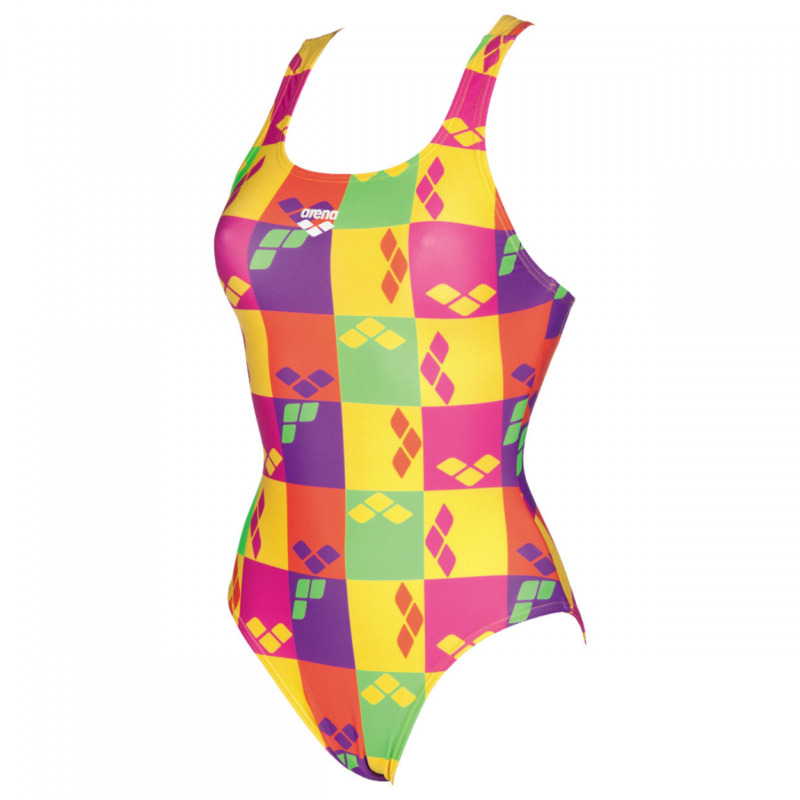 The Factory swimming costume uses Arena’s MaxFit material which provides maximum comfort due to its high elasticity and superior softness. A perfect suit for regular use, on holiday or just the odd trip to the pool!